Not sure which program is right for you or your skater? For more information about our programs, contact Coach Ali at foothillsskatingclubcoach@gmail.com or any one of our Board Members at info@foothillsskatingclub.ca. 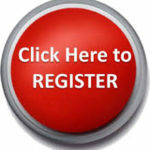 Registration forms and waivers can be found on our website in the Registration section. Completed forms can be emailed to registration@foothillsskatingclub.ca or bring them on the first day, prior to getting on the ice.